Austin Independent School District staff, LC. Anderson alumni and members of the community take part in a groundbreaking ceremony for the new Eastside Memorial High School at the site of the old L.C. Anderson High on Saturday. The Anderson building will get an $80 million renovation, but the Austin Independent School District has promised to retain certain aspects of the building to preserve its legacy. The front of the school will remain the same and a historical gallery will be installed. 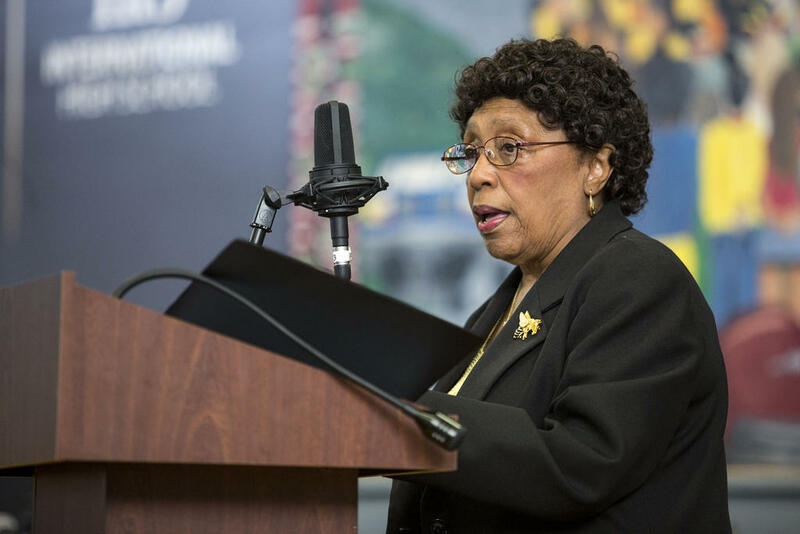 Johnnie Mae Coleman Overton asks the school district to keep its promise about honoring L.C. Anderson's legacy. 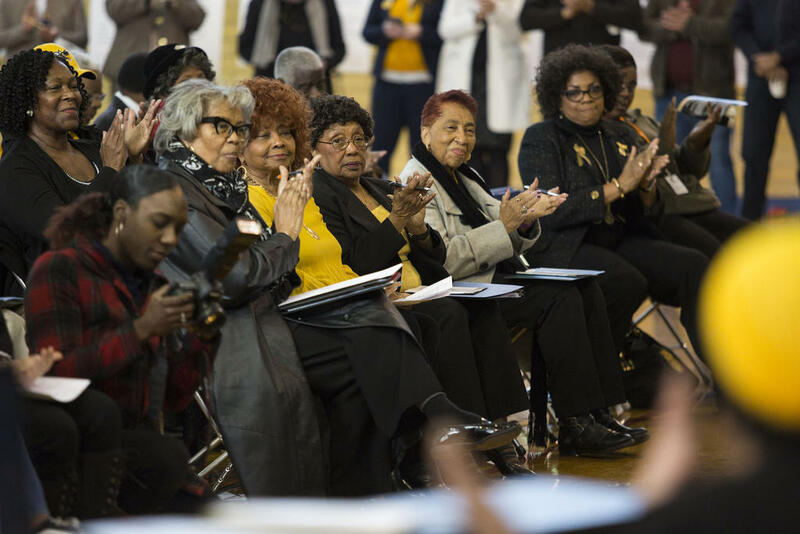 At Saturday's event, Johnnie Mae Coleman Overton, who graduated from Anderson in 1952, asked the school board and district administration to make sure these projects happen. Voters passed a bond in 2017 that included relocating Eastside Memorial to address space concerns. The current building is undercapacity, with a lot of space unsused. The new building will be smaller and better accomodate the student population. Anderson High alumni listen during a groundbreaking ceremony for the new Eastside Memorial High School. The new building will also include the International High School, which serves students new to the country. The Liberal Arts and Science Academy, meanwhile, will move from the LBJ High School campus into the current Eastside Memorial building. 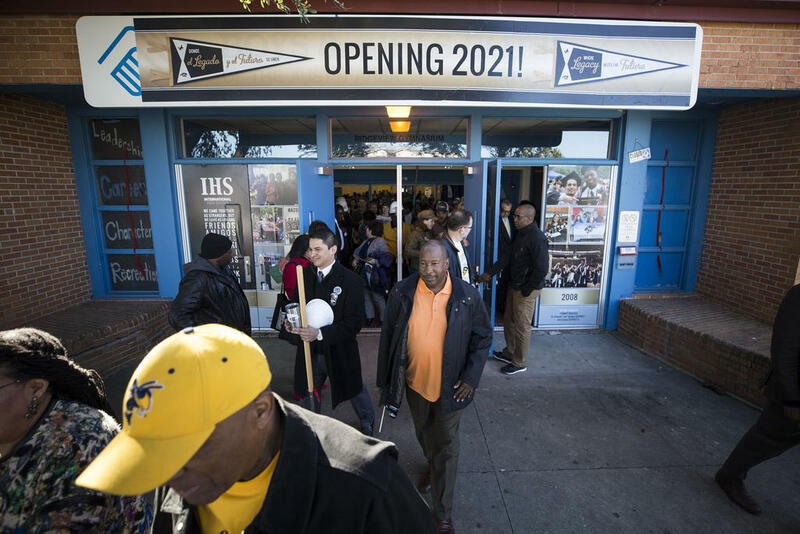 When the renovated school opens in 2021, it will be the newest Career Launch campus, which allows students to earn college credit and certificates in certain fields. Eastside Memorial is partnering with Dell Medical to offer a health science program. The renovated school, paid for by a bond voters passed in 2017, is expected to open in two years. Pamela Nesby McCullough, a 1966 graduate of Anderson, told the crowd she hopes these opportunities for students create a new legacy in East Austin. "It is our hope you feel the pride, the excellence, the honor and the integrity that the classes of 1907 through 1971 – of the original L.C. Anderson High School – felt as students," she said. Anderson High School Closed 45 Years Ago, But East Austin Still Feels Its Absence. Ambres Kearney’s muscle memory flares up every time he drives back to his East Austin alma mater, Anderson High School. As he pulls into the U-shaped parking lot, he instinctively tries to park his car in the same spot where he parked his 1963 burnt orange Chevrolet 45 years ago as a high school senior. “My wife said ‘Where are you going?’ But it was so natural to drive up,” Kearney says. Instead, he parks in the street and sits on the stoop at the front entrance. Parts of the concrete steps underneath him are crumbling.